So much for that whole, “2018 is my last Chicago Marathon and I will not be told otherwise! !” thing. If I’m being honest, I didn’t sign up for the Chicago Marathon in 2018 intending for it to be my last. It occurred to me early in training that it likely would be my last and I should treat it as such. By mid-July or early August, I was already wavering on that. I distinctly remember being in the middle of a run commute one day during the summer and thinking, “You know, I really do enjoy training for marathons. I’d really miss this if I didn’t do it next summer.” So then I thought that maybe I’d train for a late summer/early fall half marathon, and if that went well I’d sign up for a later fall marathon–most likely Indianapolis. I also considered entering the NYC lottery and seeing what happened (I…may or may not still be considering that, despite having an entry to Chicago.). As this year’s Chicago Marathon got closer, I became more and more unsure of my insistence that this year would be my last Chicago Marathon, and when I found out that the 2019 race is on October 13–the same day as my first Chicago Marathon in 2013–it was all over. BUT! 2019 will be my last Chicago Marathon–last marathon, period, most likely–for awhile, pinky promise. And the 2019 Chicago Marathon is going to be a victory lap, not a PR attempt. The only goal I’ll allow myself to have is to run faster on October 13, 2019 than I did on October 13, 2013. Assuming all goes as planned next year, I’ll be moving to the suburbs in the middle of the summer (consequently, the middle of marathon training). That will mean a lot (a lot) about my running will have to change. Run commuting will be off the table (*genuinely sobs*), and I’ll no longer have easy access to the Lakefront Trail (*more genuine sobbing*). Since nearly all of my running life has consisted of out-and-backs on the Lakefront Trail and two-thirds of my past two marathon trainings have consisted of run commutes, that’s going to be a pretty significant change, especially during a time where I need to be logging eight, nine, 10 mile weekday runs on my own (I can run with any CARA group, including the suburban ones, so I’m not concerned about my long runs). I expect at least a little learning curve, and I expect that my race training will suffer anywhere from mildly to moderately while I’m on that curve. I don’t need the added pressure of a PR. Besides, I can genuinely say that after this year’s marathon, I’ve accomplished everything I wanted to with the distance. If I never run a faster or stronger marathon, I’ll be okay with that. I just want to get in as many marathons as I can while I still have the freedom and flexibility (and desire) to train with relative ease, and 2019 will likely be one of my last chances to do that. So, victory lap it is! 2. I have yet to meet a running sock I don’t like, so when Swiftwick reached out to me to see if I’d be interested in trying a pair from their newly rebuit PURSUIT line, I took them up on the offer. 3. I fear I may need to get over my hatred of the treadmill this winter. I plan to start training in the middle of January for my sub-2:00 half marathon attempt, and, unsurprisingly, that involves a fair amount of 1) running and 2) speedwork. It didn’t occur to me that accomplishing either of those things outside might be more difficult than I anticipated until Monday, when I was reminded just how many people view clearing their sidewalks as optional. I planned to run when I got home on Monday but scrapped those plans almost immediately after getting off the CTA, when a seemingly infinite number of unshoveled blocks and/or lots greeted me on my walk to my house. Trudging through snow is a nuisance, but due to the nature of the storm we got Sunday night, the sidewalks weren’t covered in snow: they were covered in ice. I’ll run through snow (cautiously), but I certainly wasn’t going to attempt 5×400 on ice. Obviously I wasn’t thrilled to skip my workout, but the sidewalk situation really upset me more than the fact that I couldn’t do my run (especially since I had plenty of time to make it up later this week). It had been nearly eight hours (eight daytime hours!) since the snow stopped falling by the time I got home. While technically any of the snow that fell after 7 a.m. didn’t have to be cleared until 10 p.m., per city municipal code, the vast majority of my walk home takes me past businesses. There is absolutely NO excuse for them not having their sidewalks cleared! You were there all day! It stopped snowing before noon! Get out a shovel and a bag of salt and do your job, darn it! It’s annoying to me that I couldn’t do my 400s, but it’s not just about me and my silly workout plans: it’s about public safety. What about the elderly or disabled who also need to travel on those sidewalks? Falling for me would be an embarrassment; falling for them could be a crisis. Clear your sidewalks or hire someone to do it for you. I’ve got to imagine that’s a whole lot cheaper than being sued because someone slipped and fell and broke a bone on your property due to your negligence. 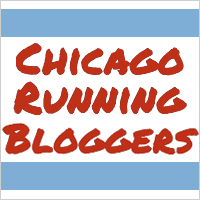 Who else is running Chicago next year? Tips for making the treadmill tolerable? Do you know which suburb/area you are moving to? There are LOTS of great trails in Lake County to train on! Paved and crushed. And depending on how suburban you go, a lot of the planned neighborhoods are pretty safe to run in the streets, although I prefer sidewalks too. It makes me nuts when people leave their sidewalk like that because it is so unsafe. When I do winter speedwork I usually try to pick the best day of the week to do it, or hit the indoor track or treadmill. Sigh. Did you pick a training plan for your sub 2? I totally know what you mean about being fine with your marathon time. I have been that way with my 2015 time and wasn’t planning to try to PR and then did and it got all effed up (due to my fall). I am still happy with my 2015 time! Most likely somewhere in the western suburbs – I’d guess more DuPage County than Lake County. I’m sure they have plenty of paths to run on in DuPage County, too – I just have to find them! My first half marathon was January 2011. For 8 years I have said “Nah, I have no interest in a marathon, I’m happy with the half”. I later added Ragnar Relays and was still completely uninterested in full marathons. And then last week during a run the thought came to me, unbidden, that maybe I would like to face the personal challenge of a marathon. That couldn’t be right, that’s a major commitment and dedication and time, so much time. My longest runs ever outside of race events have been 8 miles. I’ve never done speedwork, fartleks, tempo runs, or anything else. Doing a real, serious training plan for months? Getting to the end of a half marathon and turning around to run the whole thing again? Being out on the course for minimum 5 1/2 hours? Dealing with fueling and potential bathroom troubles?? It’s still on my mind a week later, so tonight I’m looking up marathon training plans to see what it involves, god help me. I’ll tell you that based on my experience, you can definitely get across the start and finish lines of a marathon without doing anything but easy runs. You might not get across the start and finish lines *quickly*, but you’ll get across them 😉 The training does help you get ready for the distance, not just in the obvious physical preparation ways, but in the ways your perception of what counts as “long” changes throughout the course of training. Every year at the beginning of marathon training, they tell us that by the end, we’ll be saying we “only” have to run 10 miles and genuinely mean it, and I’ve never found that to be inaccurate. That’s not to say that the later miles on race day itself aren’t a challenge, but you definitely lose the concept of 13.1 miles being any sort of long distance at all, so it’s not so scary to have to do it twice back to back! (That’s actually my biggest problem with running soon after the marathon – it takes my mind a lot longer to remember that 10+ miles IS a substantial distance than it takes my legs to remember that, so I’ll go out for a bit too long of a run thinking it should be easy and being surprised when it’s not, haha). I think you’ll surprise yourself if you decide to take it on! That’s great that you have the closure of feeling content with your marathon and are happy with your PR as a lifetime PR! I feel like I am “almost” there. I’m really happy with and proud of my marathon PR, but I believe I have another one in me. A SMALL one. I don’t expect that one day I’m ever going to run 10+ minutes faster than my current time. It depends on how the next decade of my life plays out and whether or not marathon training cycles will easily fit into my life in the future, but I’m certainly not expecting it of myself. My current PR is 3:43 and I will be thrilled to get it around 3:40ish. I certainly don’t see any BQ attempts in my future! My half PR is another story. I’m coming up on 3 years since I set my half PR of 1:47:51 (during marathon training), and ever since then I have been itching to do better. I really believe I have a sub-1:45 in me and I don’t think I’ll be satisfied with the half until I get it. Problem is, I just haven’t been willing to put in the work for it these past couple years. I’m kinda hoping to PR again during this marathon training cycle but I’m trying not to “expect” it too much – I will be in the middle of training, after all! I totally get what you’re saying about the half. I felt that way for so long about the marathon – feeling like there’s still something there, but not quite being able to get it done. I hope you’re able to surprise yourself in the half during this cycle and set another mid-training PR!